This long exposure captures the hint of red in the sky over a field of bluebonnets in the Texas Hill Country. 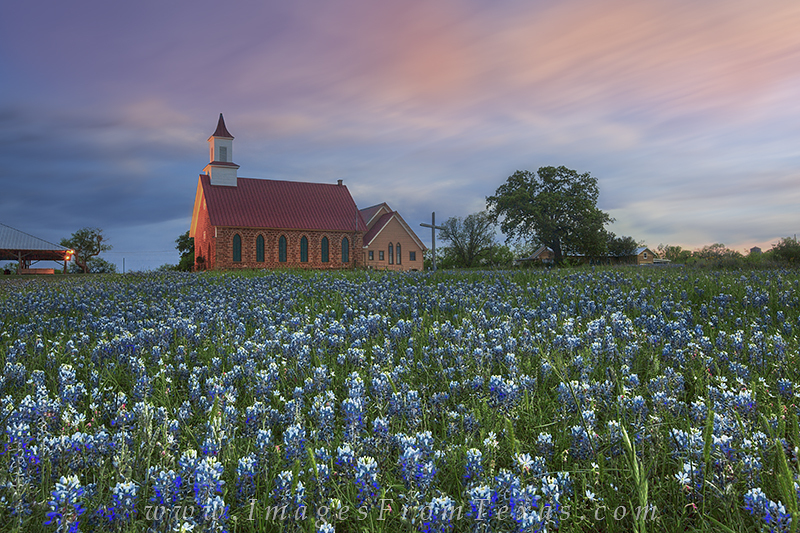 The methodist church in Art, Texas, hosts a field of these wildflowers each spring. I used a 30 second exposure well after sunset to capture the movement of the clouds. Photo © copyright by Rob Greebon.